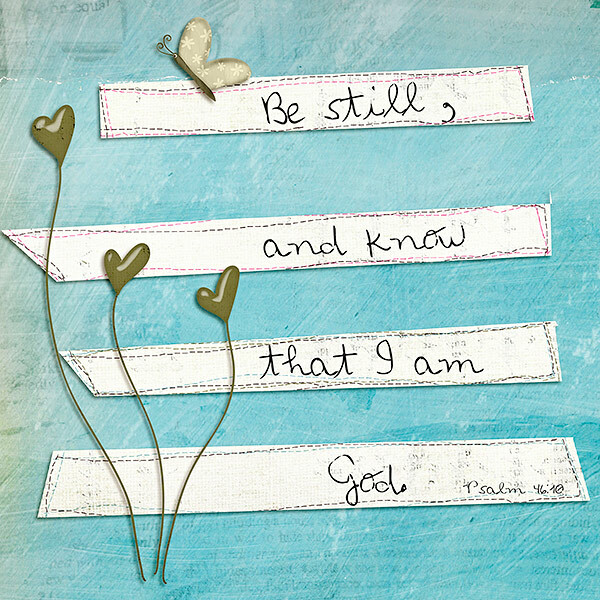 Once I read the word, I knew I just had to use one of my well quoted verses - Psalm 46:10 . It is a verse a Christian friend gave me some years ago when I was getting over busy with caring for my elderly parents. 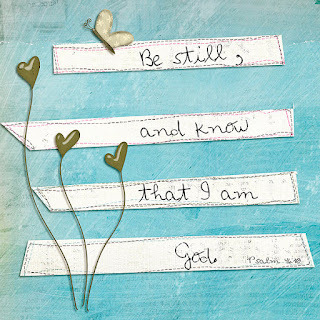 So the Lord keeps reminding me at times that I let my life get too busy and do not stop and just "Be Still". The digital items I chose to work with because... the blue paper which you can see glimpse of newspaper represents that we let the world events take our focus of being Still with God. The Butterfly is because even though it is a gentle creature ... it is a very busy one and at times when you watch them they do not rest for long. The heart flowers represents our Triune God.